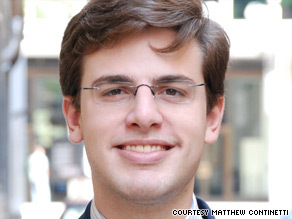 Editor's Note: Matthew Continetti is the associate editor of The Weekly Standard. His book "The Persecution of Sarah Palin" is slated for publication by Penguin Sentinel in the spring of 2010. Sarah Palin's charisma is such that she doesn't need to hold an office to wield influence, Matthew Continetti says. (CNN) -- "Everything changed on August 29 in politics in Alaska," Sarah Palin told NBC's Andrea Mitchell this week. The reference was to the day last year when John McCain announced that Palin, a 44-year-old mother of five who became Alaska's governor only in December 2006, would be his presidential running mate. McCain's surprise pick altered the trajectory of the 2008 campaign -- for a few weeks, at least -- and launched Palin, until then an unknown political neophyte, on the path to global celebrity. But it also set in motion a chain of events that, a little more than 10 months later, would culminate in Palin's surprise announcement that she would leave her office effective July 26. Before the day she joined the 2008 Republican presidential ticket, Alaskans saw Sarah Palin as a champion of ethics in government who had twice defeated oil interests, governed with Democrats in a bipartisan manner and brought down powerful members of her own party. She enjoyed record approval ratings, and her major initiatives had all been signed into law. But the good times didn't last. By the following July, Palin's approval numbers had sunk to the mid-50th percentile, the coalition on which she governed had collapsed, and most of her time was spent combating a hostile media and frivolous ethics complaints. What happened? The campaign. The reaction to Palin's nomination was as visceral as it was unhinged. Knowing almost nothing of the feisty hockey mom turned political dragon-slayer, some in the media turned rumors -- had Palin supported Patrick Buchanan? Had she been a member of the Alaska Independence Party? Did she believe that dinosaurs were around a couple thousand years ago? -- into established facts. Not content to examine Palin's actual record, the press did its best to transform the unconventional, pragmatic politician into a fire-breathing social conservative who was outside the American mainstream. Democratic partisans committed to Barack Obama's election demonized Palin until she became the emblem for everything liberals think is wrong with America. Comedians lampooned her accent, her looks, her religion, her education and her family. The same McCain aides who championed Palin for vice president later turned on her and leaked damaging (and false) information to a press eager for any tidbit confirming its view that the governor was unqualified and reckless. One lousy interview with Katie Couric didn't help. Something about Sarah Palin riles people up. After the McCain-Palin ticket lost the election and the governor returned to Alaska, the onslaught against her did not cease. The Democrats in the state legislature who once had been Palin's allies turned on her. Her opponents, continuing their never-ending search for dirt, inundated the governor's office with 150 Freedom of Information Act requests for documents relating to Palin's schedule and contacts. The Anchorage Daily News counts 18 ethics complaints filed against Palin. All of them have been dismissed, but at great cost to the state in man-hours and wasted resources. The Palin family's personal legal liability is around half a million dollars. Meanwhile, the father of her grandchild went on a publicity tour flacking "intimate" details about her family, and David Letterman joked on national television about Alex Rodriguez impregnating her underage daughter Willow. (He later apologized, saying he intended for the joke to be about Palin's 18-year-old daughter, Bristol. As if that would make it any more tasteful.) And McCain sources kept providing ridiculous insinuations about her to reporters (all on background, of course). Palin did nothing to deserve the acrimonious venom that has been flung at her non-stop since she first appeared onstage with McCain. The professional, emotional and financial toll on her has been incredible. Partisan agendas and personal animosities have left her with few friends and many opponents in Alaska. And so, last week, she did what she is used to doing. She shook up the playing field. On July 26, Palin will be a free woman. No longer will she have to juggle official responsibilities, a national political following and her children. She can travel freely to the Lower 48 without worrying about how it may affect her standing back home. She can defend herself and her family against slander without the controversy distracting from the duties of high office. She can make money to pay the bills. She can pick her battles without being hemmed in by the state legislature and bureaucracy. Palin is impulsive. Her charisma is such that she does not need to hold an office to command attention or wield influence. She resigned from the Alaska Oil and Gas Conservation Commission all of a sudden in 2004, plunged into a Republican gubernatorial primary in October 2005 and joined McCain's campaign without hesitation. Two of these three dizzying moves ended up in victory, and one did not. Two out of three isn't bad. Why shouldn't Palin think another gamble might pay off? Palin herself may not know her next move. Speculation about her presidential ambitions is premature, though it will be much easier for her to build a national organization now that she has no professional ties to Alaska. Whatever she does will be noticed, that's for sure. Because the attention lavished on Palin's decision is further evidence of her unwitting ability to bring out deep-seated feelings of admiration -- and loathing -- in people. We will be hearing from Palin, and from the Palin-haters, for a long while to come.